Spongebob Pineapple House Fish Tank Ornament. SpongeBob Squarepants is everyone's favorite underwater guy! 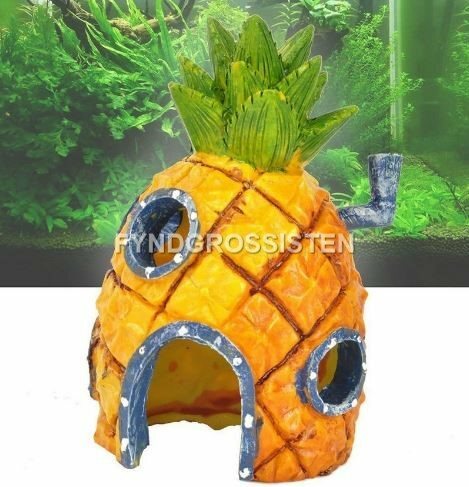 Now you can enjoy Spongebobs pineapple house right in your aquarium. Plus our Pineapple House has holes for fish to swim through and explore. These aquarium decorations instantly spruce up any bowl or aquarium and add a fun decorative look. Made from non-toxic, safe resin. 1 x Fish Pineapple House.